Eye EnvyTM is the ultimate in tear stain removal systems. Externally applied, this safe, non-irritating and effective cleanser and beautifier removes unsightly stains and inhibits dark staining production. Is safe for use on puppies. 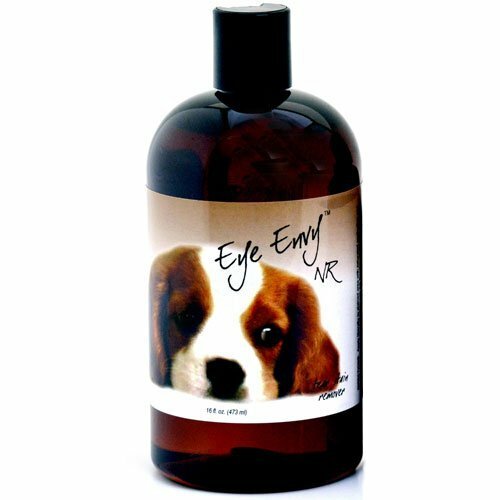 The Eye Envy 8ounce bottle is ideal for the home or a small kennel with many pets. It is also well suited for large animals that may have frequent eye discharge and require more specific attention. This safe and reliable formula mainly used for ridding eye stains may also be applied to your pet to eradicate most feet and mouth stains as well. An externally applied tear stain remover that really works!